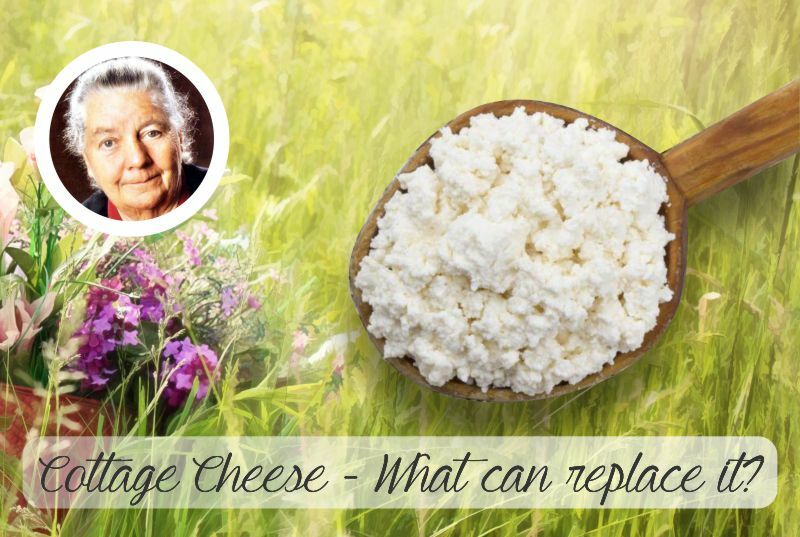 What can replace Dr. Budwig’s cottage cheese and linseed oil? We constantly get emails from people at the Budwig Cancer Center, asking us if there is anything that replaces the linseed oil and/or the cottage cheese in the famous Dr. Johanna Budwig recipe? Some websites that talk about Dr. Budwig and her food program even suggest that you can use yogurt, eggs, vegetable powders, nuts or garlic. What did Dr. Budwig say on the matter? This is an excellent substitute and many find it more palatable and easier to digest. For people who seem to have some intolerance to dairy, it seems to be easily solved by making your own homemade Kefir Cottage cheese. The kefir is already fermented for a longer period, thus the conversion of lactose to lactic acid is virtually complete, and doesn’t present the same digestive problems, even for those with irritable bowel disease, in most cases. After mixing the Kefir Cottage cheese and linseed oil for at least one minute, try adding the juice of a whole lemon for even better digestion and a nice fresh zingy flavor. Click on this link to find out how to make your own low fat, organic Kefir Cottage Cheese. First of all, if you read through all her books and research she never recommended or sanctioned the use of yogurt as a suitable substitute for quark in the Budwig Diet. She was adamant about using quark (cottage cheese) right up to publishing her last book in September 1999. That is not to say that she necessarily was opposed to yogurt, she just did not mention it as an option. It probably is not as effective as cottage cheese/quark because it lacks the protein density of cottage cheese and may not fully mix with flaxseed oil. The dairy product needs a certain protein density to facilitate complete water solubility of the flaxseed oil. After mixing yogurt even a double or triple proportion of the cottage cheese, on close observation with a magnifying glass you will find that there are still tiny oil specks floating on top, yet with quark that does not happen. Please keep in mind that a chemical reaction takes place when the sulphydryl groups in quark or cottage cheese bind with the unsaturated fatty acids in flaxseed oil. This reaction allows the flaxseed to become water soluble and enter into a cell to supply energy. I would not risk using yogurt and miss out on the benefits of this mixture! Dr. Budwig would never approve of any of these substitutes for the following reasons: Dr. Budwig was aware of the vegan alternative, BioSan’s Companion Nutrients, but she disregarded companion nutrients completely when she was asked by a Swedish professor for quark alternatives for his client, former president, Bill Clinton. And there is no indication that they work. The same is true of vegetable protein powder instead of cottage cheese, over the 16 years I have been researching cancer remedies and studying the Budwig protocol here at the Budwig Center, I have not had any patients or heard of any cancer healing testimonials on record, achieved with the help of BioSan’s Companion Nutrients, powdered vegetable protein or other substitutes. Based upon USDA food tables, leeks, chives, garlic, cabbage, red pepper, and asparagus contain sulfur but not sulphurated proteins in any appreciable amount. We need to keep in mind that it is not the sulfur in vegetables that we are after but the sulfurated proteins. So while these vegetables (as well as many other foods) do contain sulphurated proteins, but the problem is that they do not contain them nearly at the levels required for the Budwig flax oil/cottage cheese mixes. Egg yolks would be a better choice but they are much too fatty for consideration in the Budwig diet and the consumption of eggs, even organic free range is controversial as nowhere did she approve of them directly. In conclusion the only truly acceptable substitute for cottage cheese or quark is homemade Kefir Cottage cheese.